Ridge agrees with Steffy that Zende has talent, but he can&apos;t mentor anyone right now. Steffy tells Ridge that she told him that. Ridge says he will reiterate it to him directly. Ridge tells RJ and Coco that she could stay on as an intern. 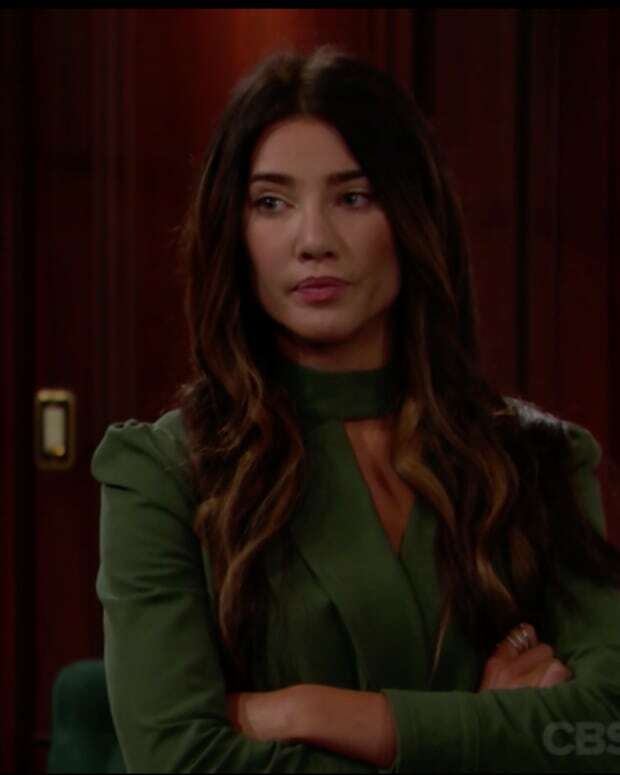 Steffy tells Coco that she has a future in the business, but Sally doesn&apos;t.
Sally finally gets a trip up to Thomas&apos; bachelor pad. They banter about his messiness, decor, and that it&apos;s a loft apartment. Sally thanks him for saving her. He tells her that she is worth the investment. He&apos;s not afraid of big, bad Bill. Nicole and Zende are happy about the news from Ridge (we didn&apos;t see it). Nicole prods Zende into apologizing to Coco for being wrong about her. Coco hears more nasty things about her wayward sister. Sad Coco attracts RJ&apos;s attention. While the quad is admiring his designer skills, Zende makes a joke to Coco not to show his sketches to Sally. Coco tells them that Thomas saved Spectra fashions with his own money. Steffy asks Ridge if he knows what happened to Thomas after he took off for Spectra. Bill bursts into the office. He demands to know what&apos;s going on with Thomas. Steffy and Ridge don&apos;t understand why Bill is so angry. 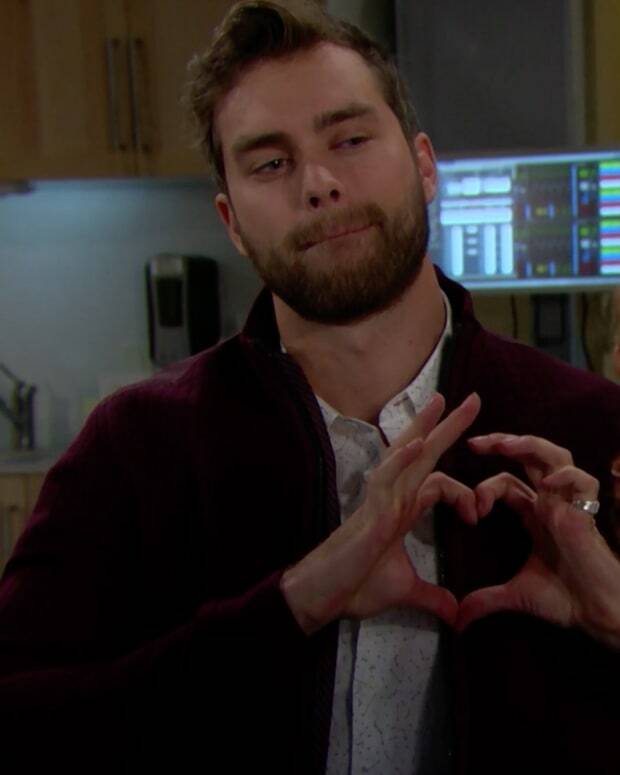 Steffy explains that Thomas only went to tell Sally about what Bill did. Bill fills them in on Thomas&apos; shenanigans. They are shocked and outraged. Zende doesn&apos;t agree with Thomas saving Spectra with his $100,000 check. He just can&apos;t trust Sally or her company. He thinks Thomas is out of his mind. Coco says he did it for love. Zende doesn&apos;t get it, but Coco and RJ do. Ridge accuses Bill of lying. Steffy tells Bill that wasn&apos;t part of their deal with Spectra. Bill demands that something be done. Ridge agrees and walks out. Steffy tells Bill that Thomas won&apos;t be writing any more checks when Ridge gets done with him. Sally wonders how Thomas&apos; family will react. He reassures her that they will understand why he did it. He tells her again that he has faith in her. They start to make out when Ridge starts pounding on the bachelor pad door. Ridge starts yelling at both Thomas and Sally. He thinks Sally should pay the money back. 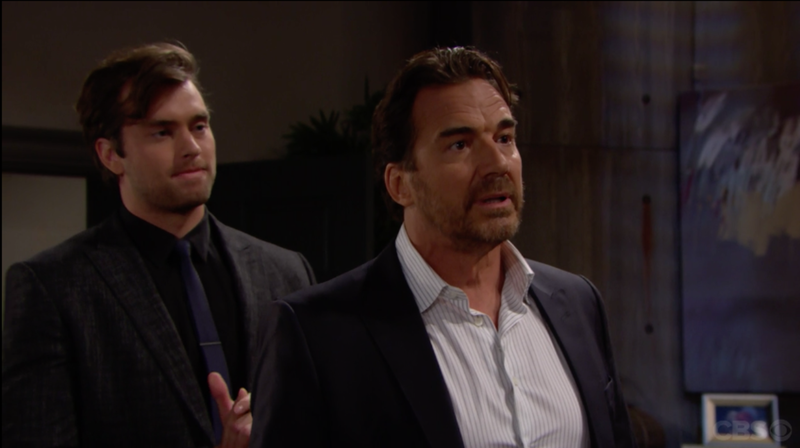 Ridge tells Thomas his romance is over! He is firm in his statement to Thomas that he won&apos;t stand for it.